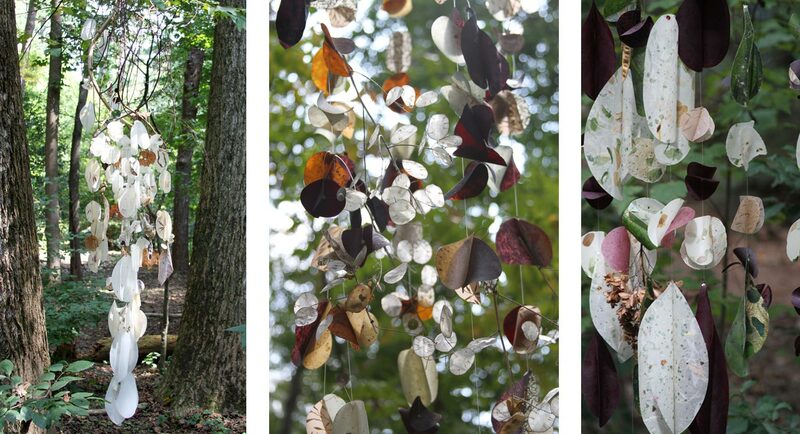 Floating Garden Mobiles are stands of beeswax coated paper petals, seed pods, Native Magnolia leaves, feathers, and mirrors that suspend from a triangle of weathered branches. On September 21, 2014, Woodlands Garden, an urban preserve and sanctuary, welcomed several hundred visitors in celebration of the 50th Anniversary of the Wilderness Act. The Act, signed into law by President Lyndon Baines Johnson in 1964, served to legally define “wilderness” and protect over 9 million acres of federal land. 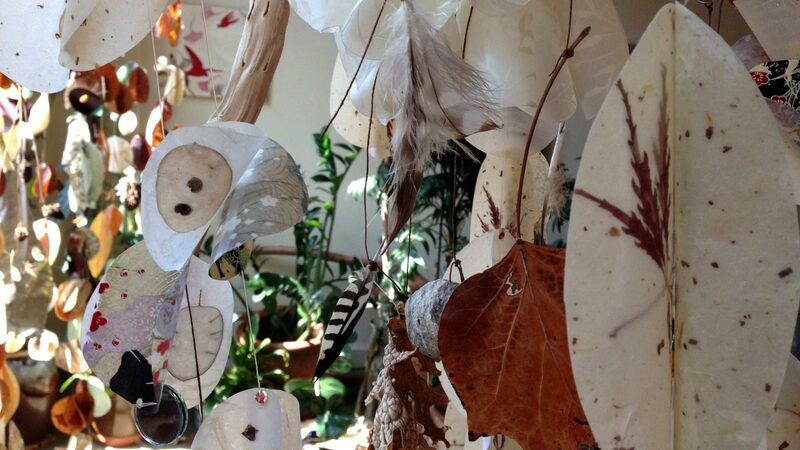 The Wilderness Act Performance Series, (WAPS), was created and produced by composer and naturalist, Stephen Wood. 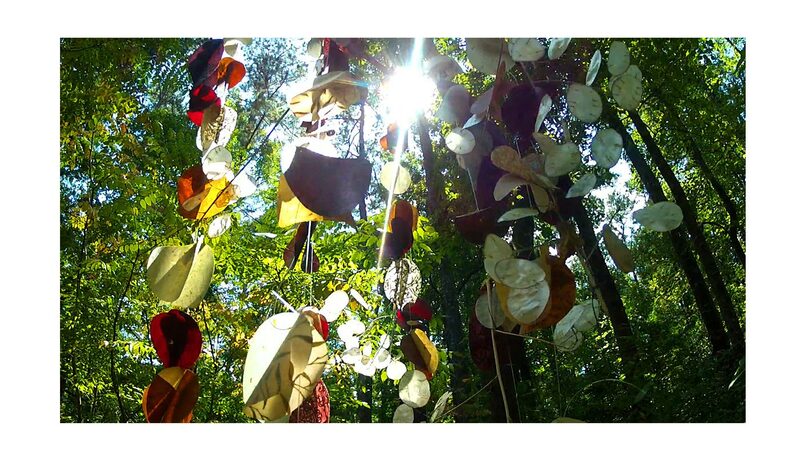 The series included 23 visual artists, composers and poets who collaborated with green spaces in the Atlanta area to increase exposure and engagement of the Wilderness Act’s impact on natural and cultural preservation. As part of the WAPS, artists studied with naturalists, arborists, wildlife experts and historians during the field seminars. Each field seminar focused on different aspects of the venues unique ecosystem, it’s human history, and it’s involvement with community. 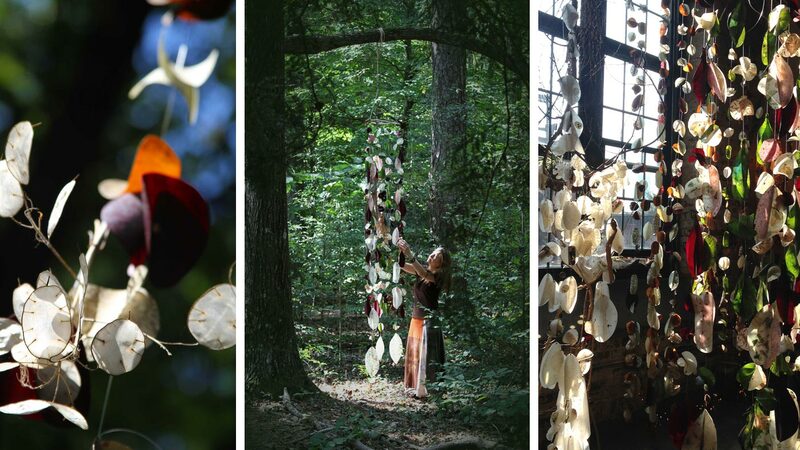 My installation included 3 Floating Gardens that hung from various trees as talismans, protectors of the forest. They lived outside for the first time and endured severe storms with only minor weathering. 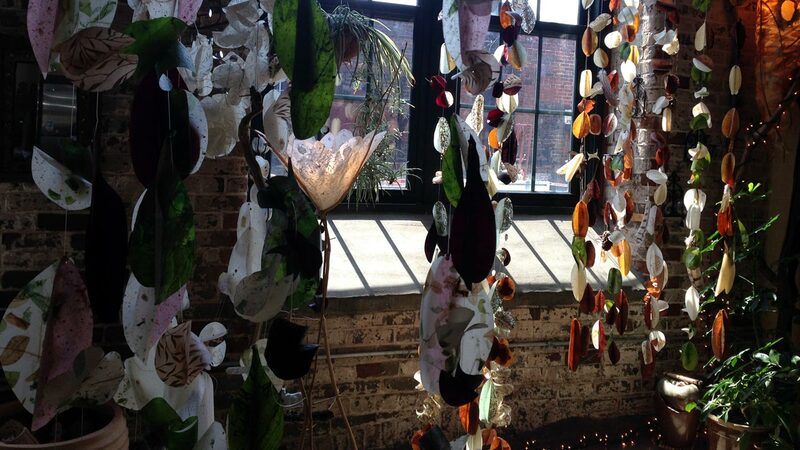 Floating Gardens are for sale and available by commission.